This month Shedding Light talked with Dr. David Kahn, Plastic Surgeon and Stanford University Academic Physician, about his practice, advances in cosmetic surgery, and how light impacts his ability to perform surgery. 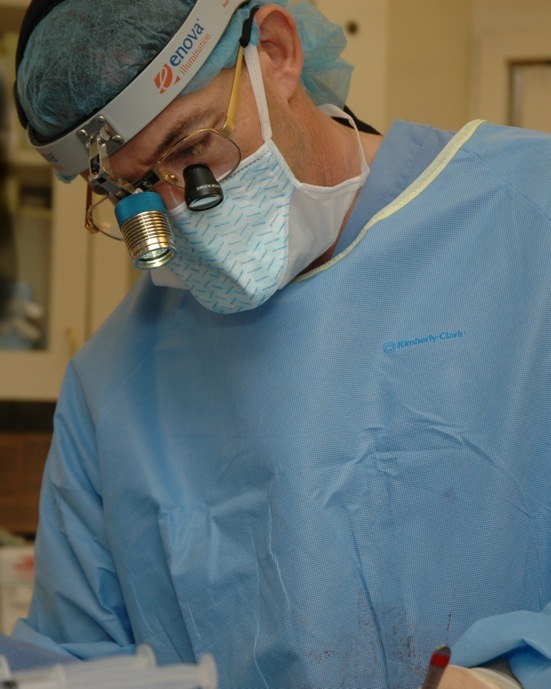 He uses Enova’s newest LED surgical headlight, the XLT-125. Shedding Light: What is the focus of your practice? Dr. Kahn: As a plastic surgeon, I perform a variety of different kinds of reconstructive surgery from correcting birth deformations and facial fractures to body contouring for patients who have lost a significant amount of weight and physical improvements such as breast augmentation and face lifts. I’ve become more focused on cosmetic surgery on the face, breasts and trunk. As an academic physician, I work with residents and medical students during surgery as well as when seeing patients in the hospital and clinics. 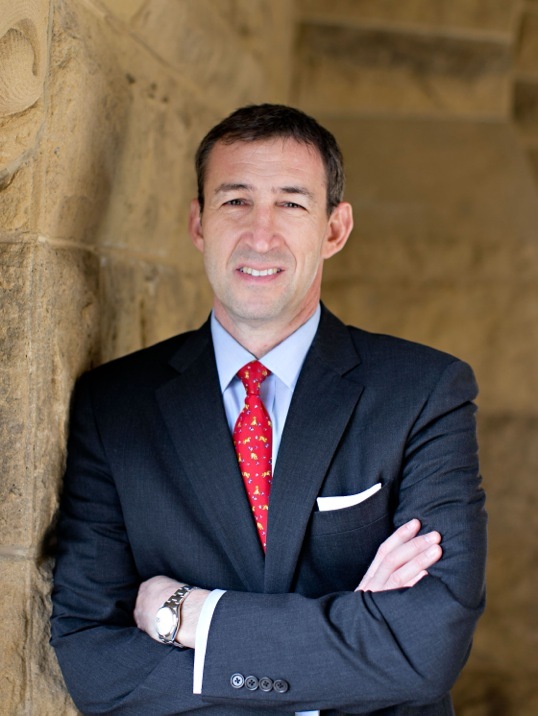 Dr. Kahn: When I began at Stanford in 2000, 70 to 80 percent of the patients I treated underwent reconstructive surgery for problems such as cleft lip and palate, facial fractures and breast reconstruction. Over time success in reconstructive surgery often leads satisfied patients to refer friends and family for cosmetic surgery. As a result, today, I perform more aesthetic surgery. To me, what defines plastic surgery is an eye for achieving a naturally beautiful result from surgery. It is this artistic challenge in reconstructive and cosmetic surgery that has drawn me to the field. Shedding Light: What technology would you say has changed or advanced plastic surgery? Dr. Kahn: We can now perform microsurgery, which involves sewing together very small blood vessels, and nerves, or use an endoscope inserted through a small incision for face lifts, and breast augmentation. Tissue engineering is quickly advancing. One day we will be able to take cells from a patient and construct a new ear, for instance, and it will involve less risk and look better than taking a piece of the rib and shaping it into an ear. But this kind of technology can also take the artistic challenge away from plastic surgery. Dr. Kahn: Lighting is key in any kind of surgery. In cosmetic surgery, we must have adequate visualization to avoid making a mistake. When making small incisions or working on a nose, cleft palate or breast, the space is a cavity and requires focused light. In addition to overhead light and surgical headlight, we use lighted retractors which have two purposes—to hold up tissue and provide light, but the light is not always pointing where you need it. Shedding Light: How did you hear about Enova Illumination headlights? Dr. Kahn: I actually heard about Enova from residents in our fellowship program. I trialed two of Enova’s surgical headlights: the D-200 and the XLT-125. I’d also borrowed a colleague’s S-100 once. The D-200 wasn’t as good as the XLT-125 for breast augmentation and rhinoplasty. Shedding Light: Which Enova headlight do you use? Dr. Kahn: I use the Enova XLT-125. Before getting it, I was using a fiber optic headlight. I like not being tied to a box that’s plugged into the wall. Also, working with trainees in the operating room requires more movement and, because it is self-contained, the XLT-125 prevents us from getting tangled up. The co-axial feature is nice; it lets me adjust where the light is pointed, which during breast surgery is looking up from the belly button. Dr. Kahn: I use the XLT-125 when I’m in surgery, which is two to three times per week. 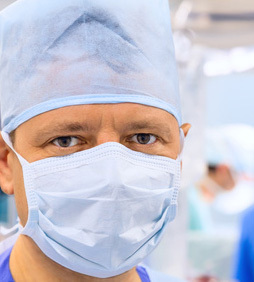 A surgery can take from one hour to as much as seven or eight hours. I especially like the Enova battery pack. I have the bigger pack and it lasts all week and is easy to change out if necessary. The intensity adjustment on the battery pack is nice too. I usually use one off of the highest setting; it is brighter without reflection. Shedding Light: What do you like best about your Enova XLT-125 headlight? Dr. Kahn: First, it is self-contained and I’m not tethered to a box like the fiber optic headlights. The XLT-125 is the most comfortable surgical headlight I’ve ever worn. Before trying Enova headlights, I even tried lights runners use in my search for a comfortable headlight. I also think the XLT-125 would be great for mission trips because it is so portable. Dr. Kahn: Yes. The residents in training are always interested in what I use and I tell them about Enova LED surgical headlights. They provide excellent light, are comfortable, and require little maintenance. Buying an Enova headlight is kind of like buying an iPhone; they’re affordable and have much to offer. Roger Heegaard, President of Enova Illumination, attended the world’s largest medical trade fair MEDICA 2013 held in Düsseldorf earlier this month. Enova Illumination was also on hand at COMPAMED 2013, the leading trade fair for the supplier market for medical technology manufacturing that paralleled MEDICA 2013. Approximately 132,000 trade visitors from more than 120 countries were in attendance. Exhibitors represented 66 countries showcased new products for high-quality, efficient medical care – ranging from medical technology and electromedicine, laboratory technology, physiotherapy products and orthopaedic technology to health IT. Have You Tried the XLT-125, Enova Illumination’s Newest LED Surgical Headlight?